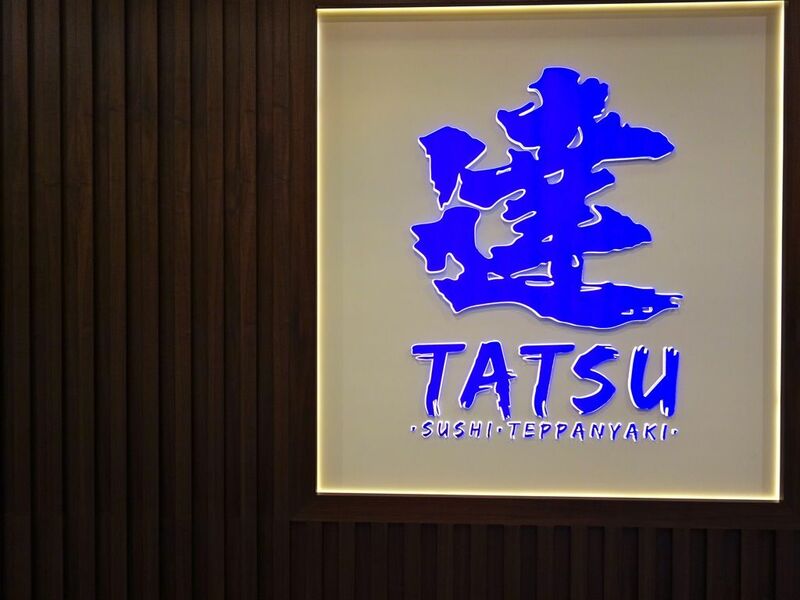 17 years is a long time for an F&B outlet to survive in Singapore so there must be something that Japanese restaurant Tatsu is doing right. 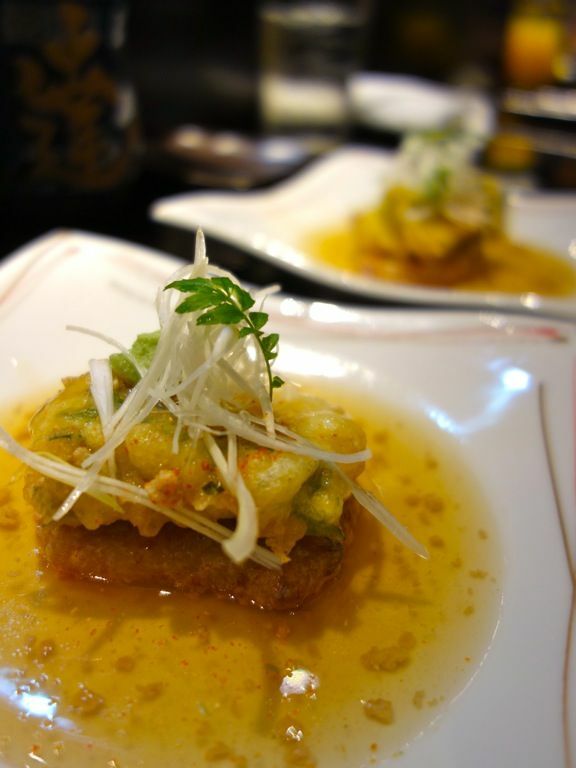 While other restaurants are busy opening (and closing) chain stores, Tatsu focused on maintaining their customer base at Chijmes and only recently expanded their business to serving diners in the Central Business District. Located at Asia Square Tower 2, customers will be able to enjoy 2 different dining experiences from the Sushi Bar and the dedicated Teppanyaki Performance Counter. The Sushi Bar serves fresh sashimi and sushi along with seasonal creations. The fish is air-flown multiple times a week for that extra freshness. 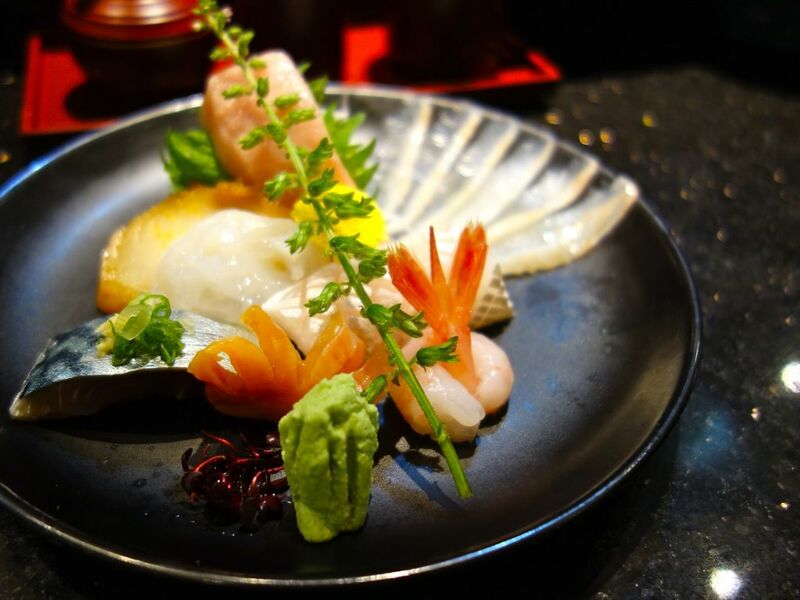 The Omakase Sashimi ($40) is a contemporary platter with some interesting flavors. Notable were the Albacore (aka White Tuna) marinated in soy and yuzu and the superbly marbled and creamy Toro! There's something about homemade tofu with century egg sauce that drives me crazy and the one used in the Pitan Tofu ($8) dish was lightly spiced to give it that extra kick. 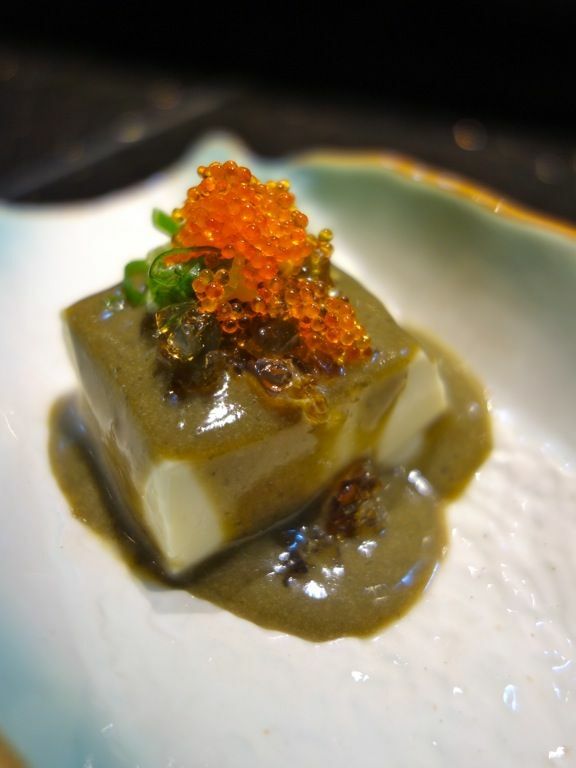 Next was the Chef Special, Imo Tofu Foagura ($20) which is a grated yam paste that is first steamed "tofu" style and then deep fried and served with foie gras and a dashi sauce. The foie gras could have been better pan fried imo. 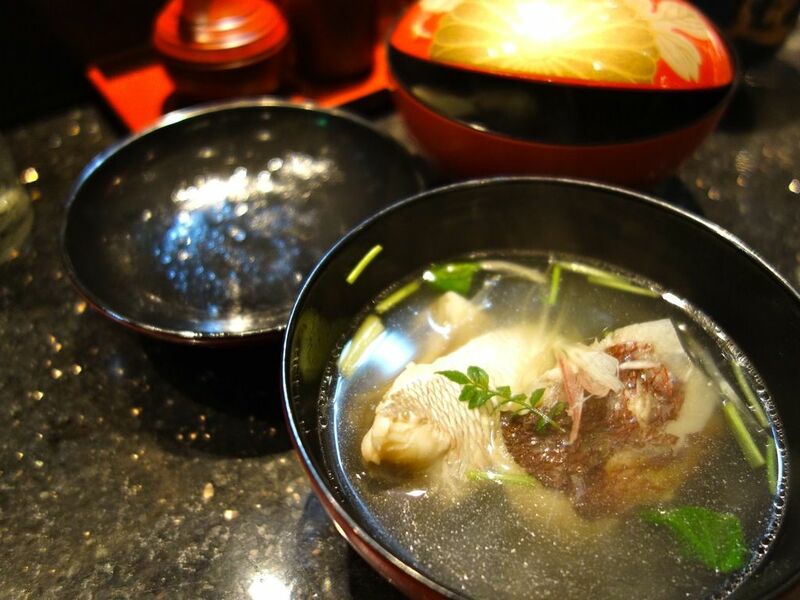 We refreshed our palates with the Kabuto Saka Mushi ($18), a delicious fish head soup with a smoky bonito taste. 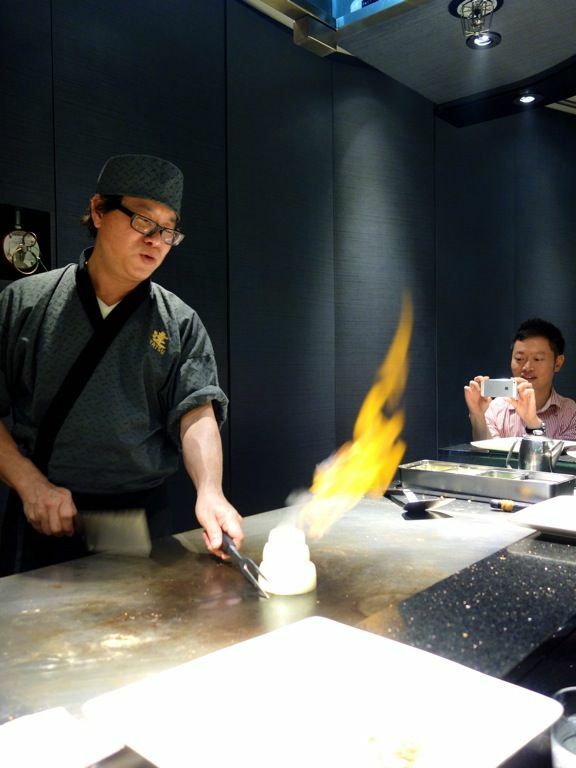 If you would like some entertainment to go along with your meal, you would be entertained by Chef Kelvin's acrobatic cooking antics at Tatsu Teppanyaki. There were flying knives, seasoning shakers and food flying around and not to mention fire, lots of fire! If you are into rich flavors, do not miss out on the food here. 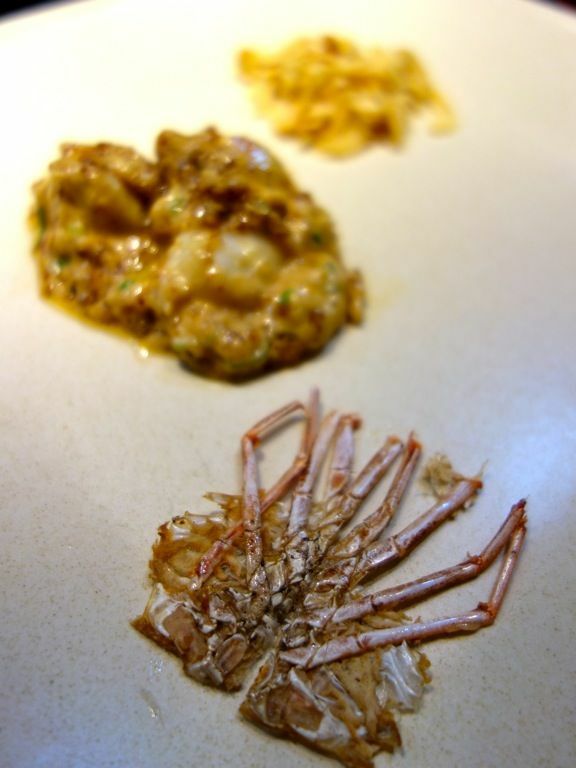 The King prawn ($24) is done 2 ways. The head is flattened and grilled into a biscuit disk that crackles. The meat was tossed in an umami garlic mayonnaise with lots of fried shallots and garlic (enough to kill a vamp). Save the sauce for the other dishes, it's amazing with EVERYTHING. especially with the garlic fried rice. 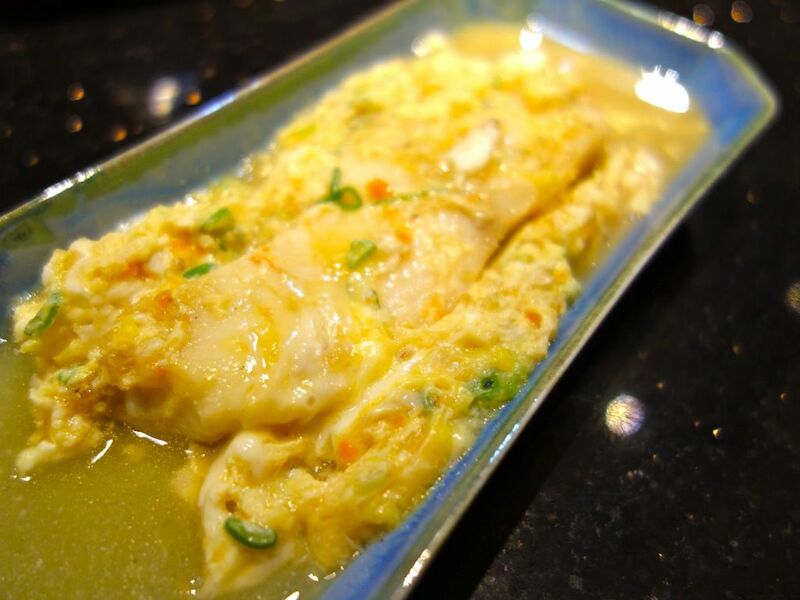 For a lighter tasting dish, there's the Silver Cod ($24) in a light hon mirin sauce with fluffy egg. L's favorite dish of the night, dancing scallops tossed with a Japanese mapo tofu sauce ($26). The scallops really flip-flopped on the hot grill and she liked that the sauce wasn't all that cloying. 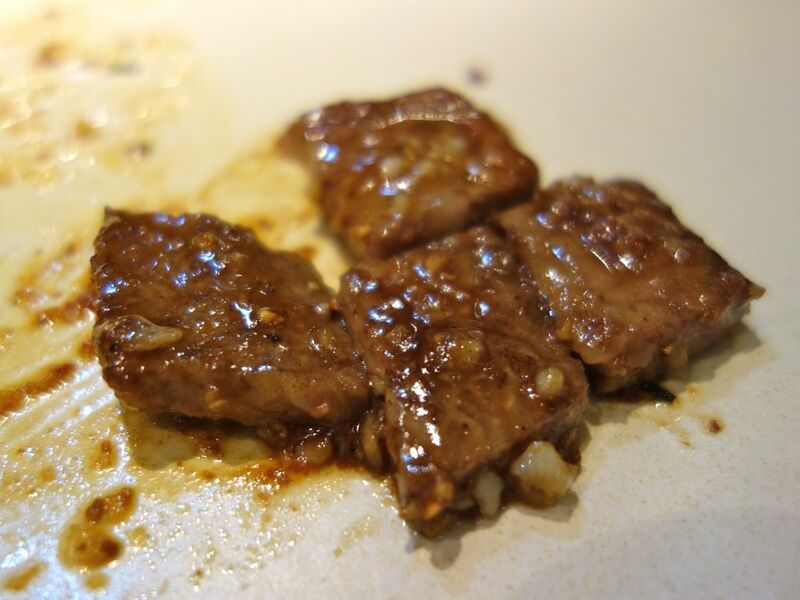 An A4 grade Wagyu Beef from Miyazaki Prefecture is used for the teppanyaki (200g, $168) but was sadly a little overwhelmed by the yakiniku sauce. Well, you can customize the strength of the flavors so just let the chefs know in advance. Affordable lunch and dinner sets are available at the Asia Square outlet with prices starting from $25. Bento delivery is also available in the CBD. If you're interested in trying Tatsu, they will be participating in the upcoming Restaurant Week from 15 - 23 Mar 2014. Chijmes outlet will reopen Apr 2014.